In November 2016 I wrote to Sheikh Ben Halima requesting to question some jinn about the missing Malaysia Airlines flight MH370. I did not get any reply. Almost one and half years later, earlier today, I sent him a second email requesting the same. This time he replied saying the video is already uploaded. On the video Ben Halima summons several jinn (spirits) to a human body and asks about the missing Malaysia Airlines flight MH370. One of the jinn take control of the body and interacts with the Sheikh who controls them by reciting verses of Quran (Koran), in the process the jinn also embrace Islam. Ben Halima questioned many jinn and they said the flight was taken down by jinn themselves. According to the video it was downed to sea and plane stayed intact, it was then taken to Arizona, USA, where it is kept in an underground place located in Arizona desert. Jinn say 8 Americans were involved in the mission. All the passengers of the flight MH370 were sacrificed, according to jinn that spoke during exorcism. Some of the jinn showed shape of an eye with fingers of the possessed human. In this context the eye usually refers to the Illuminati. This is not the only conspiracy theory relating jinn or the spirits with the Illuminati. Have you seen the artistic crop circles? Anyway, what the jinn said should not be taken at face value. Ben Halima on another video basically said the jinn have free-will just like human beings, so they could lie but the chances of lying may not be high as they are kept submissive by the power of Quran. What the jinn said means a lot when it is corroborated with other factors. For example, one of the world's most advanced companies (from America) is searching for the flight, if they turn up empty it may suggest the plane is most likely not there. Now the question is why would Americans down a commercial airliner and take it to the US to keep it hidden? Few reasons pop up in my mind. Americans may be developing a spiritual weapon to prevent another 9/11 style attack? Or they want to deliver the same style of attacks on other countries? May be in times of war? In 1988 the United States Navy shot down the Iranian Air flight 655 and killed 290 people on board, including 66 children, according to media reports. It was a routine flight and it was in Iranian territorial waters when the incident took place. I think this suggests the American military would do what they had to do for military superiority or protection. If the Americans were in fact successful in using jinn or spirits to carry out military missions I think it has far more uses than capturing a passenger flight. When they get such a technology it must be tested in real world scenario, without such a test there is no guarantee that it works. 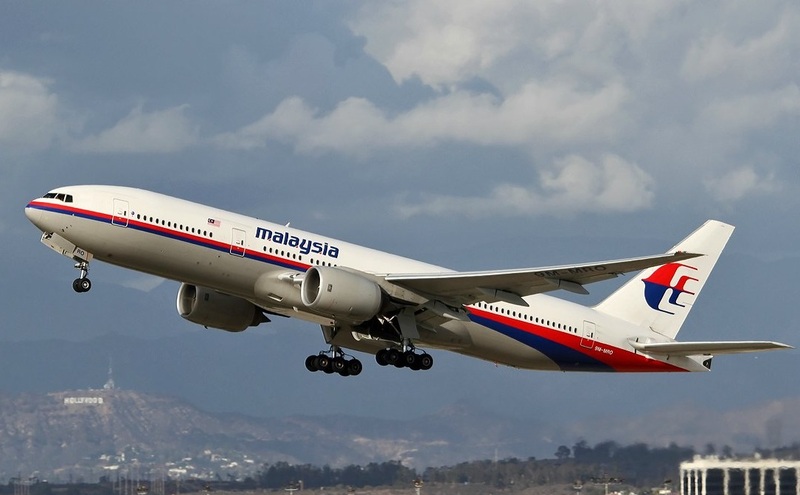 Was MH370 used for this crucial test? Recently Russia unveiled a new intercontinental ballistic missile that could carry nuclear warheads. If the Americans can capture an airliner in mid-flight using jinn why can’t they do that on nuclear missiles? Logically thinking they can use the same spiritual jinn technology to defend themselves from nuclear attacks. Do you think People who research on UFOs, pyramids and aliens would not research on jinn? I let you to decide. Do share this and see what your friends say.